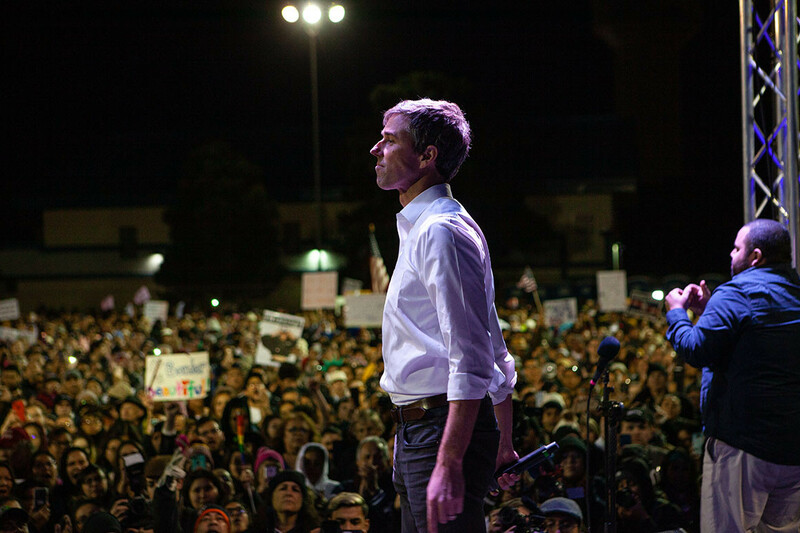 O’Rourke and former Obama Cabinet secretary Julián Castro — who has announced his own White House bid — are considered by many Democrats to be the party‘s best prospects for defeating Cornyn. A spokesman for O’Rourke did not return a request for comment on the meeting. Schumer’s office declined to comment. If O’Rourke chose to challenge Cornyn instead of seeking the Democratic nomination for president, he would immediately have the support of Rep. Joaquin Castro (D-Texas) — Julián Castro’s twin brother. O’Rourke has said he will announce his presidential intentions by the end of the month. Castro considered running against GOP Sen. Ted Cruz in 2018 but sat out the race, enabling O’Rourke, who proved to be a prolific fundraiser in his closer-than-expected race against Cruz, to avoid a serious primary. The Texas senator won reelection by less than 3 percentage points. The Castro twins both backed O’Rourke in 2018. They could, however, become competitors to O’Rourke in 2020 with Julián running for president and Joaquin chairing his brother’s presidential campaign. O’Rourke is expected to decide whether he will mount a White House within the next two weeks. Meanwhile, other Texas Democrats are also mulling Senate bids. MJ Hegar, a veteran who ran unsuccessfully against Republican Rep. John Carter last year, is considering a possible rematch against Carter or a Senate campaign against Cornyn. But that decision may not come until former state Sen. Wendy Davis, who ran unsuccessfully for governor in 2014, decides what she will do in 2020, the Texas Tribune reported Tuesday. For his part, Cornyn is already bracing for a brutal battle in 2020, regardless of his opponent. He has tapped John Jackson, who managed Texas Gov. Greg Abbot’s reelection, to run his campaign and named former White House aide Steve Munisteri senior adviser. Cornyn already has $5.8 million cash on hand, the largest sum of any senator, and the support of Cruz — who declined to endorse Cornyn during his last primary — and Lt. Gov. Dan Patrick.